Acknowledge your panthers or jaguars with the stunning panther jaguar resins! 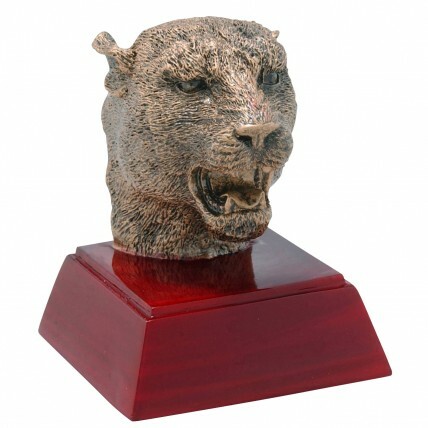 They feature a growling panther/jaguar head on an elegant rosewood colored base. Gold lettering on a black brass plate makes the Resin Panther Jaguar Trophies memorable to your special panthers or jaguars!